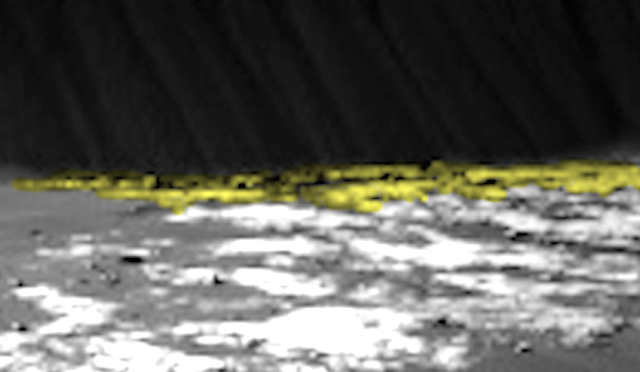 UFO SIGHTINGS DAILY: Secret Sand Dunes Investigated By Mars Rover, Photos Found, Dec 2015, UFO Sighting News. 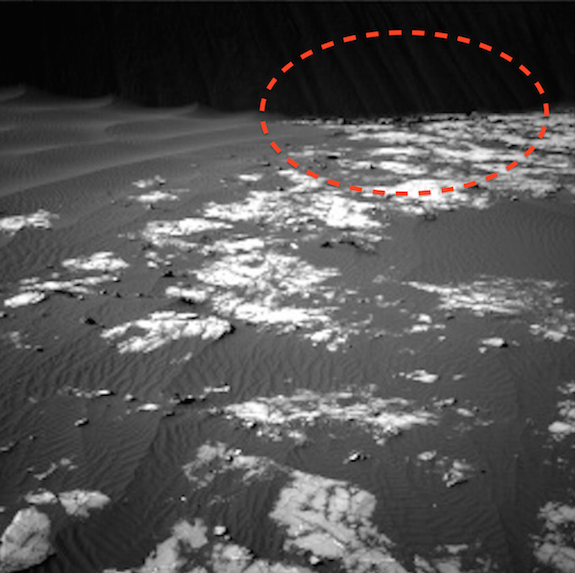 Secret Sand Dunes Investigated By Mars Rover, Photos Found, Dec 2015, UFO Sighting News. The sand dunes are dark, but they are there and high like a wall, add light to see them for yourself. You may have heard this week about NASA using the rover to investigate some sand dunes that are always changing shape. They change shape so often that even NASA doesn't know how they do it. Well we have seen no photos of these dunes until now. I found them today. I am posting these photo of the ever changing dunes and there are no aliens or UFOs, but just the photos that NASA didn't want you to see and even the press has not seen. It is possible, that the sand was made from digging out the tunnels below the surface, tunnels needed to survive on this planet. Like ants making tunnels, but needing to push the excess sand to the surface. The constant pushing up of sand would change its shape. I added some light, NASA made these photos much darker to hide them.